описание (ru) Screen Ruler 2D - это линейка пикселей на экране, которая измеряется в двух измерениях (горизонтальная и вертикальная). Кроме того, встроенный набор цветов отображает цвет под выбранной угловой меткой в разных цветовых системах, а панель информации о окне предоставляет техническую информацию о базовом окне (3 в 1). Кроме того, встроенная лупа и инструменты прямого позиционирования позволяют точно и быстро позиционировать пиксель линейки. 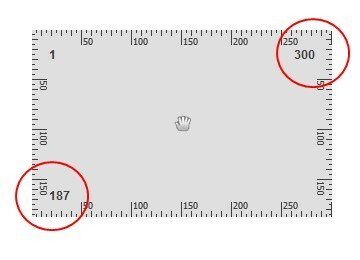 description (en) The pixel ruler Screen Ruler 2D is a valuable tool for web designers, graphic artists and software developers. Due to the easy use the desktop ruler for Windows is ideally suited for professionals and beginners alike. Complete two working steps in one! The pixel ruler Screen Ruler 2D allows measuring in two dimensions simultaneously (horizontally and vertically) and displays directly the width and the height of the ruler in pixels. Would you like to verify the color of your visual elements? With Screen Ruler 2D no additional tool is needed. The pixel ruler comes with a color picker indicating the color under the selected corner point in four different color systems; such as RGB Values (Red/Green/Blue), HSL Values (Hue/Saturation/Lightness), HTML (hexadecimal Web colors), DEC (decimal color value). With a single mouse click on the corresponding color value the data is directly copied to the clipboard. Working precisely is imperative for web designers and software developers alike. With the built-in magnifier and the corresponding positioning aids the screen ruler can be fast and pixel accurately positioned on your desktop. Screen Ruler 2D has been developed by software developers for software developers. The information window of the pixel ruler provides helpful and important data when designing GUIs; as for example name and class of window, window handle, process ID and relating task.